Eclectic Educating: Word Attack Strategies! 2. What would make sense? 3. Look at the beginning letter. 4. Skip it, read to the end of the sentence, then go back. 5. Look for chunks you know. 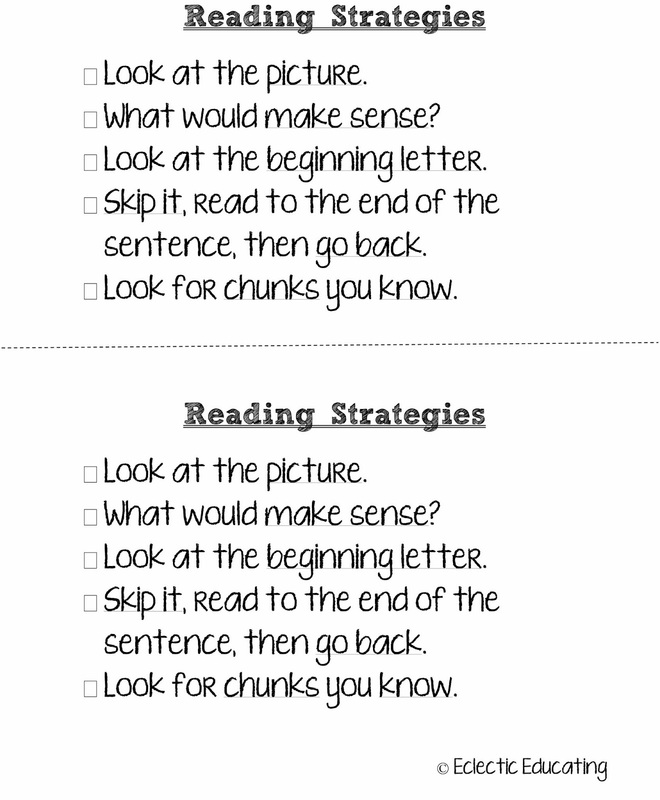 I use these strategies with all the grade levels I work with. I have really been pushing the strategies with my third graders. They wanted to sound out every word! I told them now that we were reading harder books, the words were getting too long to sound out. My third graders are also still working on learning several phonics rules, so their sounding out often was not successful. To break them of this "sounding out habit," I made a checklist. I made a small list of the strategies for each student to have in front of them. I laminated the strategies so that students could check off the strategies with a dry erase marker as they used them. It has been a huge success! I am so pleased! My students are really starting to use these strategies instead of sounding out. I find it very interesting how certain students favor different strategies. 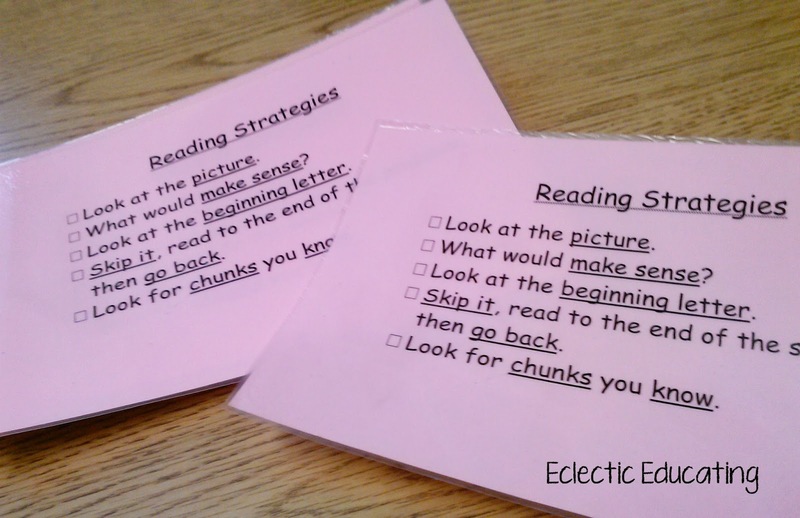 Some students prefer to use a couple of the strategies over and over, whereas other students like to use every single one in a book. Differentiation at its finest, right?! 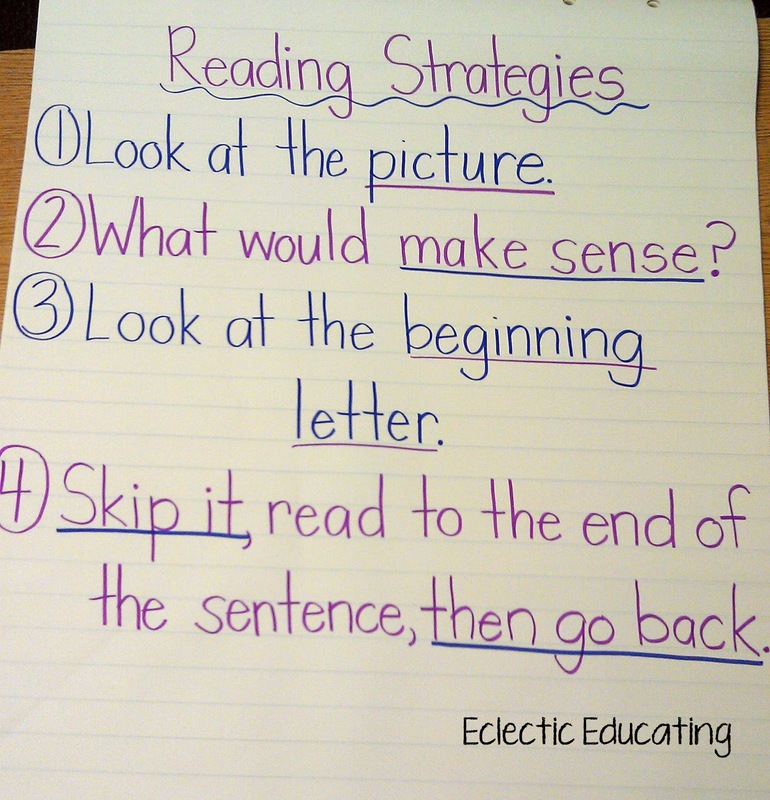 If you would like a copy of the strategies, click here, or on the picture above. I hope your students find them as useful as mine do! What word attack strategies do you use with your students? You sure have a lot of work to do with your 3rd graders! I think making the checklists like you've been making is a really good way to get all their strategies organized. They are so lucky to have a teacher like you.